The Italian president has commuted a prison sentence for former CIA agent Sabrina De Sousa, convicted in absentia over the kidnapping of a Muslim imam in Milan for a secret US intelligence rendition program that abducted suspects for interrogation. “The President of the Republic, Sergio Mattarella, signed a Decree granting Sabrina De Sousa partial grace of one year in prison, in accordance with the provisions of art. 87 paragraph 11 of the Constitution,” Matterella’s office announced on Tuesday. American citizen De Sousa, 61, was one of 23 Americans convicted of kidnapping Imam of Milan Hassan Mustafa Osama Nasr, also known as Abu Omar, from a Milan street on February 17, 2003. 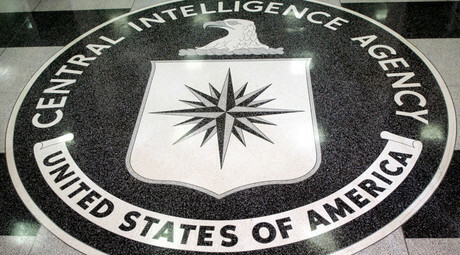 The woman, who left the CIA in 2009, denied involvement in the act, but along with the 23 others she was initially sentenced in absentia to seven years in prison. That sentence was later reduced to four years. Last week De Sousa was detained in Portugal after a two-year fight against extradition and was due be handed over to Italy to serve her sentence on Wednesday. But the statement released by Italian president's office late on Tuesday said De Sousa’s sentence had been further reduced to three years and exchanged the need for her to serve a prison term with “alternative measure to imprisonment.” This meant she could avoid spending any time in jail. De Sousa’s lawyer, Manuel Magalhaes e Silva, told Reuters on Wednesday that "Sabrina is free now. We will now await the Italian court's decision on alternative sanctions to prison, which is likely to be community service to be served in Portugal...she needs to rest today." The two were seen leaving the Judiciary Police headquarters just moments earlier. Last year Italy also partially pardoned the former CIA Milan station chief Robert Seldon Lady and fully pardoned Betnie Medero, two others allegedly involved in the 2003 case. No one else involved in the incident received pardons, according to Reuters. None of the convicted Americans was ever detained in Italy or appeared in court during their trial, but all risked arrest if they traveled to Europe. During the court hearings more than a decade ago, De Sousa claimed she had been vacationing at a ski resort in Madonna di Campiglio, Italy, and could not have possibly been involved in the 2003 abduction. But Italian prosecutors said at the time that De Sousa was a CIA officer working under diplomatic cover and was one of four main US officials responsible for coordinating Nasr's capture in broad daylight. Following the sentencing, European Arrest Warrant was issued for her. She was detained in Portugal in 2015. The US used extraordinary rendition as a tool in the US-led ‘War on Terror’ to deal with foreign suspects believed to be a threat to US national security. 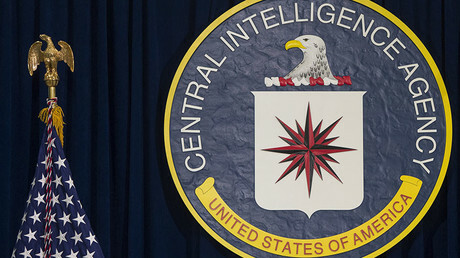 Part of the anti-terrorism strategy of the Bush administration following the September 11, 2001 attacks, the program involved abductions of terrorist suspects and their transfer to CIA centers where they were interrogated. The program ignored the normal extradition processes in international law, and in most cases subjected their victims to torture in the agency’s own secret prisons, which operated around the world between 2001 and 2009. The Obama administration mostly stayed out of the case, forcing de Sousa to appeal directly to Rome at one point in January, when she wrote an open letter to Pope Francis. In an interview with Fox News, she said she felt betrayed by the US government throughout the case. “I feel betrayed [by the US government]. I’m fighting this on my own. The US had not supported me at all on this,” she said, adding that there’s a broader impact to her story which could happen to any other service personnel. The new US government under President Donald Trump recently expressed concern about De Sousa's treatment. “We are deeply disappointed in her conviction and sentence,” acting State Department spokesman Mark Toner said last week.